There's something to suit everyone at Aquent. They have a service and delivery model AND a 360 team. They offer you a choice of hours to work. Each consultant gets £5k per year to spend on Learning and Development and your commission is tailored to the team and style of recruitment you're on! Your recruitment career is completely tailored to you at Aquent. Read on below! We have 38 offices, across 7 different countries and are still privately owned by the people who set us up, over 30 years ago. That's a long time to be working in the digital, marketing and creative space both sides of the pond and into ASPAC! Because we have a service and delivery model plus a 360 team - so that means we have roles to suit every recruiter, whether they love the buzz of sales, building talent relationships or a mix of the two. Want to work with THE biggest brands out there? We count Facebook, Microsoft, Google, MTV, Sony and Disney and many others on our client list, plus great agencies, start-ups and SMEs. 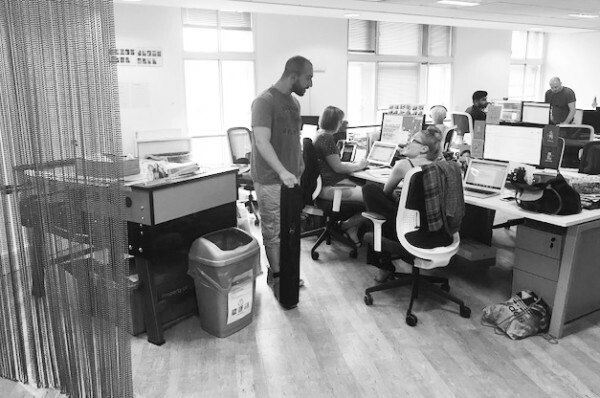 There are about 30 recruiters in London a growing team of 3 in our new Reading office. Plus, our awesome finance, HR, marketing and office support people to keep us all organised!